Whatever your construction equipment rental needs in Massachusetts may be MasterRents is here to help. Whether you are a contractor specializing in residential, industrial, commercial, heavy civil or landscape construction MasterRents has the rental equipment you need. MasterRents has a full time salesman as well as a knowledgeable staff to help you with any questions you may have about construction equipment. MasterRents offers short term rentals at reasonable prices; please contact us at 978-762-RENT (7368) for more information. 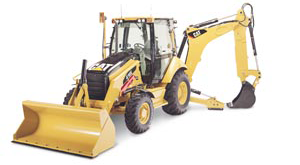 We look forward to serving all of your construction equipment rental needs in Massachusetts.